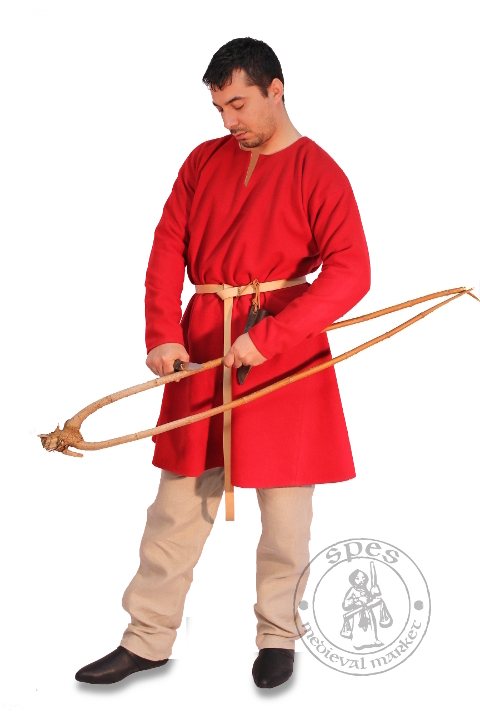 Skjoldehamn tunic. MEDIEVAL MARKET - SPES. 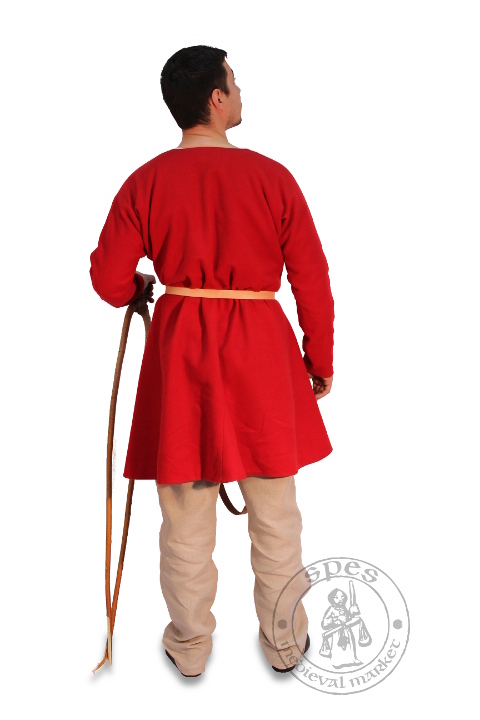 A simple vikings' tunic made of wool or linen with no lining. It has four gussets widening it from the waist. Gussets at armpits allow free movement. The tunic is made of wool or linen, it has a linen hem around the neck, which ensures higher comfort of use. It has four gussets widening it from the waist (on front, back and sides) and small gussets at the armpits, allowing easy movements. Based on a tunic found in Skjoldehamn (Norway).